Dezeen promotion: New York-based architect Daniel Libeskind will be discussing memory, creativity and legacy with architectural historian Gillian Darley at the Roca London Gallery next month. The talk on 6 November 2015 coincides with both the Death and Memory: Soane and the Architecture of Legacy at the Sir John Soane's Museum and Childhood ReCollections: Memory in Design exhibition at the Roca London Gallery – where Libeskind's formative memories are being presented. Libeskind was born in Poland in 1946 to holocaust survivors before moving to Israel, then on to New York in 1959. He founded the Studio Libeskind in 1989 with his wife, Nina, after he won the competition to design the Jewish Museum Berlin. "From early childhood, Libeskind was aware of the void left by the Holocaust, and this childhood experience of death and personal loss found expression in his Jewish Museum in Berlin," said Roca curator Clare Farrow. "Libeskind sees memory, not in terms of nostalgia or sentimentality, but as something that 'leads to new thoughts," she continued. The discussion at the Zaha Hadid-design gallery will be hosted by Gillian Darley – an architectural historian who has worked as a correspondent for the Observer and chaired the Society for the Protection of Ancient Buildings. Libeskind was recently appointed as the first guest editor of CNN Style – a new online publication that covers art, architecture and design. His studio has also unveiled plans for three angular skyscrapers in Rome, and won planning permission to build a 105-metre-high pointed skyscraper in the centre of Jerusalem. 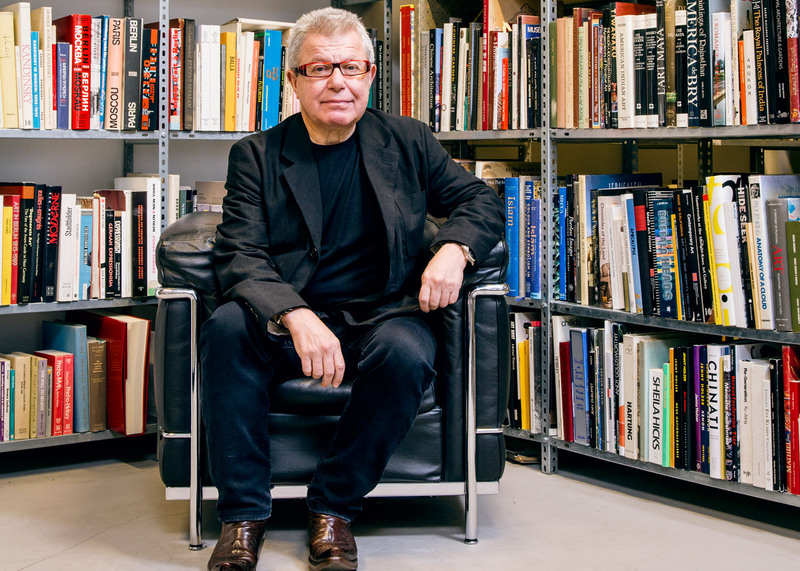 The Daniel Libeskind on Memory talk will take place at the Roca London Gallery on 6 November 2015, 6:30-8:30pm. The event is free to attend, but guests must RSVP via the Roca website. Tickets will be issued on a first-come, first-served basis.